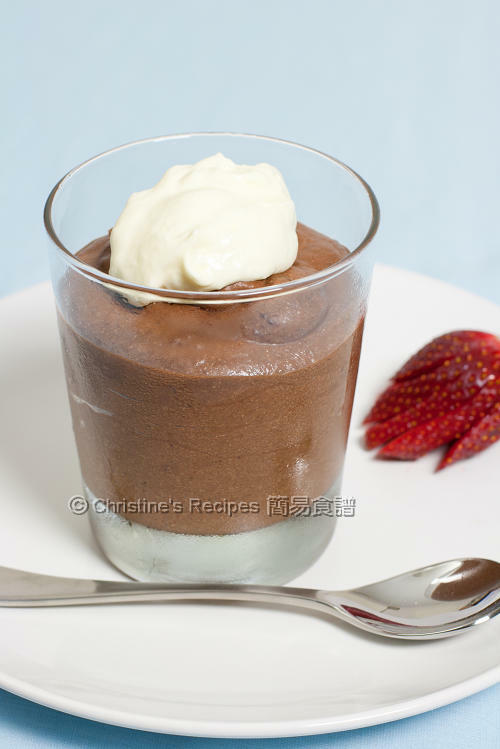 Quite a few of standard western recipes use raw eggs, like mousse and mayonnaise. It's not a problem for most people. But very young children, pregnant women and the elderlies should avoid such food. 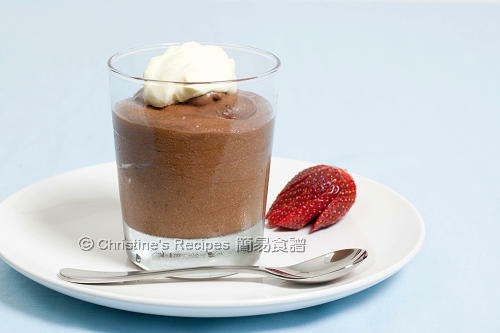 can i add a piece of chocolate cake under the mousse, and make a chocolate mousse cake?? will the mousse stay firm? Why not? It tastes good. Chill it in fridge until set, it'll be firmer. If you use a cup or mould, it won't be any problem. where can i buy whipping cream in Brisbane..? You can get whipping cream from any supermarkets, like Coles or Woolworths. 你是否用 whipping cream 自己打發？還是買現成的 whipped cream?